To reduce your cost, Brandsport offers this item in Bulk (sold here individually). 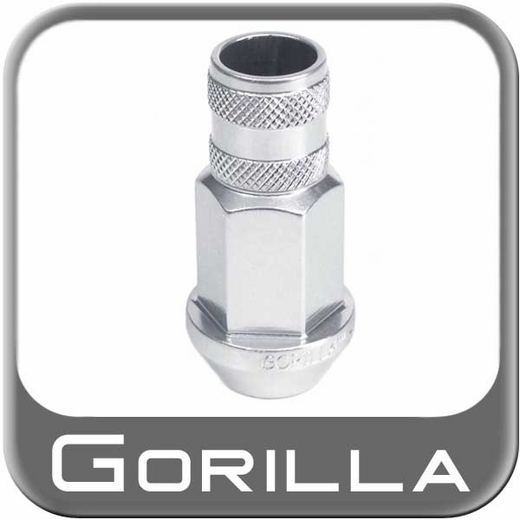 Gorilla also lists this same item in a 4-piece set as Display Package # 44037AL. 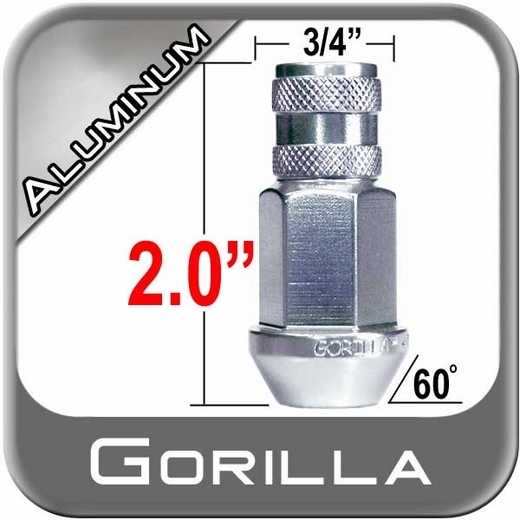 Check out these new all Silver Aluminum Racing Lug Nuts from Gorilla. They are built especially for light-weight performance to reduce the overall wheel/tire package weight of your vehicle. These Silver Aluminum lug nuts are manufactured from the highest quality aluminum materials and are 100% Aluminum. They are painted in a durable Silver color finish for a cool custom look. Each Silver Aluminum Racing lug nut is machined to precision tolerances and meets the strictest quality standards.